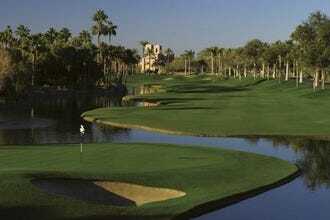 Scottsdale is famous for great golf, high-end shopping, chic resorts, and trendy nightlife. But did you know Scottsdale is also one of Arizona's best destinations for Instagram-worthy romantic adventures? You don't have to book a room at one of the city's top luxury resorts to spark the flames of love, either (although that certainly never hurts). If you're looking for romantic things to do in Scottsdale in the city's urban heart, head to Old Town Scottsdale, where people-watching and window-shopping are at a premium. 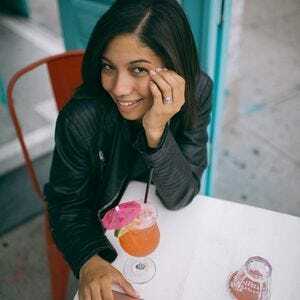 Twinkling lights, lively bars and restaurants, and quirky boutiques make it an excellent spot to explore as a couple. 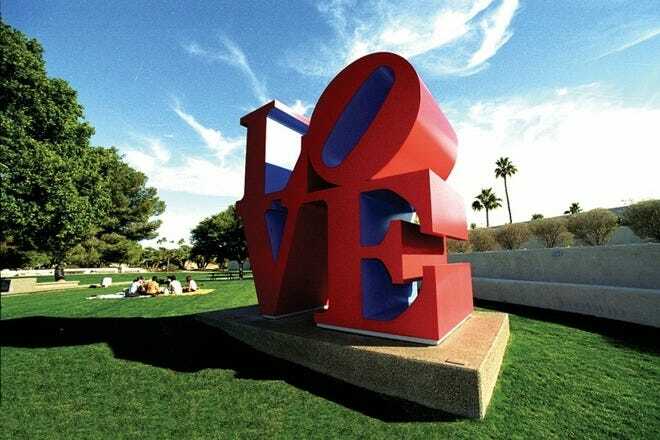 Of course, be sure to head to the Civic Center Mall in downtown Scottsdale for a romantic photo op next to Robert Indiana's iconic LOVE sculpture. The famous outdoor sculpture is part of Scottsdale's public art program, and has become a local landmark for lovers of art – and lots of engagement photo sessions. For a memorable, nature-inspired outing, take your date to Butterfly Wonderland, the country's largest indoor butterfly atrium. 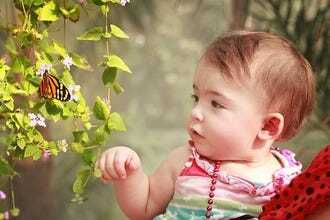 Butterflies of all colors flutter and fly overhead in a simulated rain forest environment. If wonder and enchantment is your idea of romance, you'll find it here in spades. 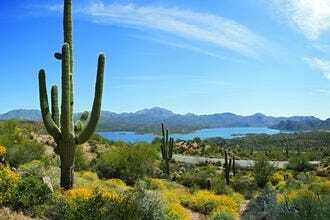 Build up a sweat with your sweetie with a hike at one of Scottsdale's most popular natural attractions. The McDowell Sonoran Preserve features 115 miles of open trailways, while Pinnacle Peak Park offers a rigorous but rewarding hike up one of the city's most notable natural landmarks. 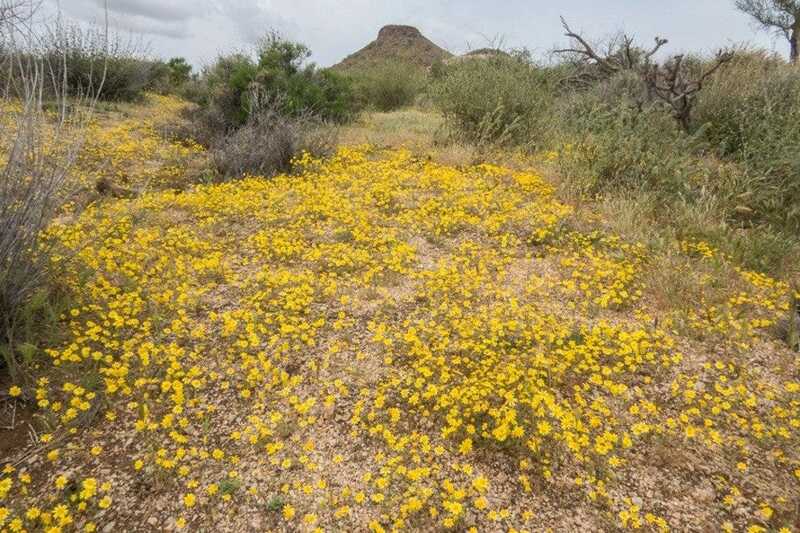 The McDowell Sonoran Preserve protects more than 30,000 acres of pristine desert in north Scottsdale. This is a hiker's paradise, with more than 115 miles of trails, including more than 60 miles of shared-use trails. Trailhead gates are open from sunrise to sunset. There's no charge for parking or access. Start your desert adventure at The Gateway, the central trailhead that offers access to most of the preserve's popular trails. To get started, try the Bajada Nature Trail, which includes intepretive exhibits and is also ADA accessible. During the months of October, November, January, February, and March, the preserve offers Family Fridays Sunset Series programs. Scottsdale may be associated with cowboy art and an Old West aesthetic, but this district nestled in the heart of downtown offers a nice glimpse of the city's contemporary arts scene. Intimate galleries showcase a broad spectrum of art media, including painting, photography, sculpture, and mixed-media pieces. Local artists are strongly represented along with several nationally-recognized names. 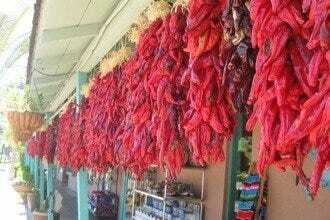 Boutiques featuring Southwestern jewelry and crafts also ply their wares. The first Thursday of each month finds the street alive with gallery openings, live music, and refreshments during the popular free artwalk. Come here to get an authentic taste of downtown Scottsdale and pick up some locally made art. Located in northeast Scottsdale on the beautiful foothills of the McDowell Mountains, Taliesin West is Frank Lloyd Wright's desert masterpiece. This was the architectural master's personal winter home, studio, and architectural campus. Public tours are available year-around, offering visitors insight into Wright's singular ability to fuse indoor and outdoor spaces. 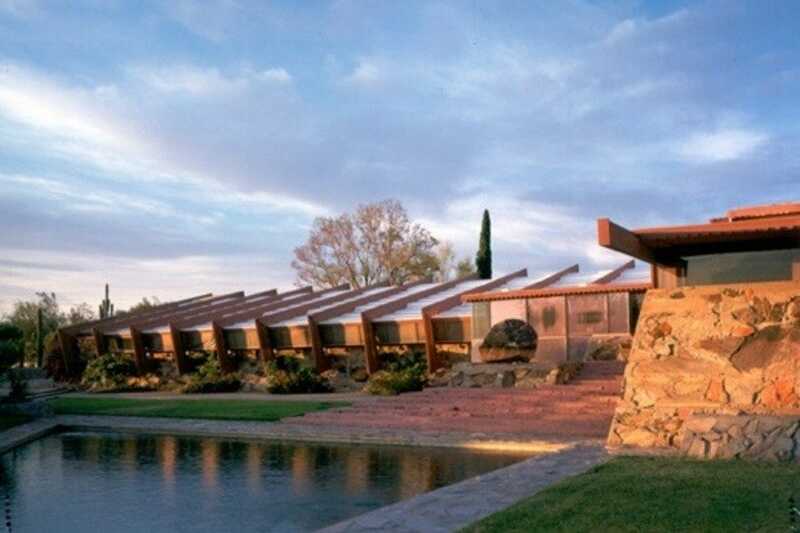 Wright fans will want to make a stop at Anneliese's Bookstore at Taliesin West, which sells the largest collection of products and books by and about Frank Lloyd Wright, his life, and role in defining modern architecture. Taliesin West also plays host to a number of outreach programs and classes for adults and children. 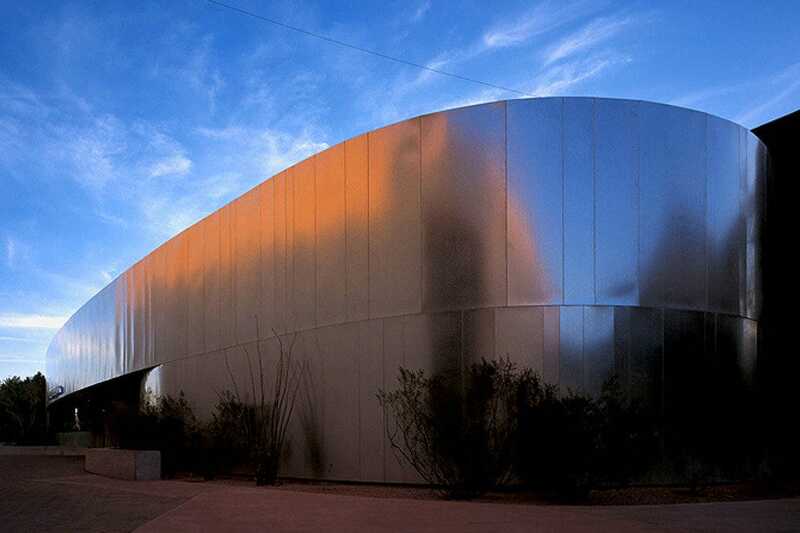 Five galleries and a sculpture garden make up the nucleus of this facility. Additional exhibits of interest include displays of international art, architecture and design, with a predominant focus on hometown attributes. The focus of the SMoCA is not on art from the past, but rather cutting edge contemporary art that deals in the thoughts and concerns of today. The museum is also home to the new SMoCA Lounge--designed as an accessible community space for creativity, imagination and contemplation. The Lounge features a film series, Lit Lounge events that bring together local writers and musicians, and a popular Brown Bag lecture series. 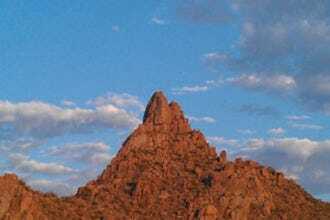 When you want an up-close experience with the majestic beauty of the desert, head to Pinnacle Peak Park in Scottsdale. Pinnacle Peak is one of the Valley's most iconic natural landmarks and a popular destination for local hikers and visitors. The 150 acre park is rated as a moderate hike by The Sierra Club, with an approximate elevation gain of 1,300 feet. Hikers and other outdoor enthusiasts of all activity levels can enjoy the 1.75 mile trail, which features smooth tread. If you can make it to the trail summit, you will be rewarded by stunning views of the Valley. Experienced rock climbers with the appropriate gear can enjoy climbing in three designated ares of the park. Other park amenities include four picnic tables, restrooms, and drinking fountains. MacDonald's Ranch is the Valley of the Sun's premier horseback riding stable. Located in beautiful North Scottsdale, MacDonald's Ranch offers guided horseback rides, hayrides, stagecoach rides, cowboy cookouts, and live entertainment. No matter your skill level, MacDonald's Ranch offers activities for single riders, small-, medium-, and large-sized parties, corporate gatherings, and even conventions. If you come in the fall, make sure to stop by the great pumpkin patch and amazing maze. If you're looking for a spot to celebrate a family reunion, MacDonald's Ranch offers desert sites for private cowboy cookouts. All sites offer views of the McDowell Mountain range to the east and Valley lights to the south. Butterfly Wonderland in Scottsdale is an unique facility featuring an indoor rain forest environment that is home to the largest butterfly pavilion in America. The museum features a 3D theater, butterfly emergence gallery, conservatory, a live ant colony, honey bee exhibit, cafe and gift shop. The state-of the art facility features a large glass atrium that creates a tropical rain forest habitat for thousands of butterflies from around the world. Along with the butterfly atrium, you can also pay a visit a real-life ant colony, and take a peek at the fascinating honey bee beehive exhibit. Of course, there's a gift shop where you can pick up butterfly-themed souvenirs. Plan to spend a day with the animals, over 1200 of them (including many endangered species), in this expansive park. 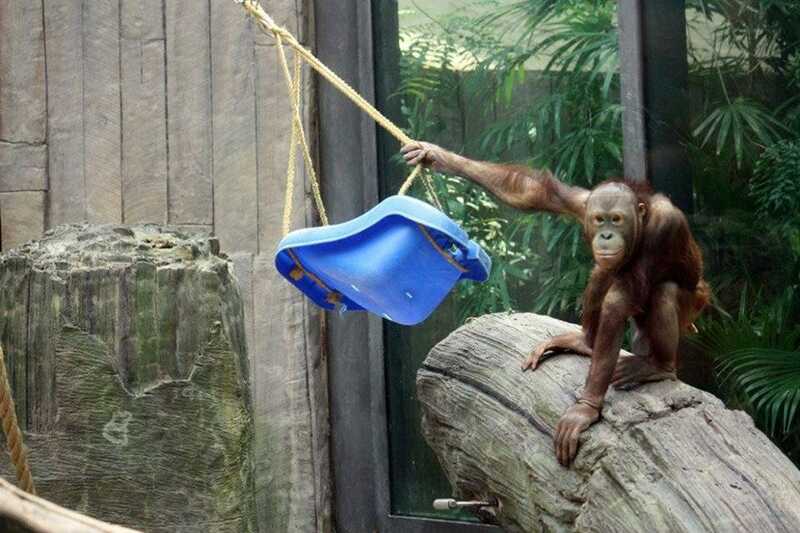 The animals live in spacious enclosures, similar to the habitats they would have if they were in the wild. in addition, visitors can enjoy attractions like the tropical rainforest exhibit, train rides, and a fabulous childrens' petting zoo. Get up close to a giraffe, ride a camel, and pay a visit to the Stingray Bay. During the summer season, arrive early to see the animals when they're most active. 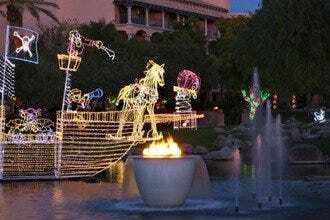 Special seasonal events, including the mega-popular holiday celebration known as ZooLights, are held throughout the year. 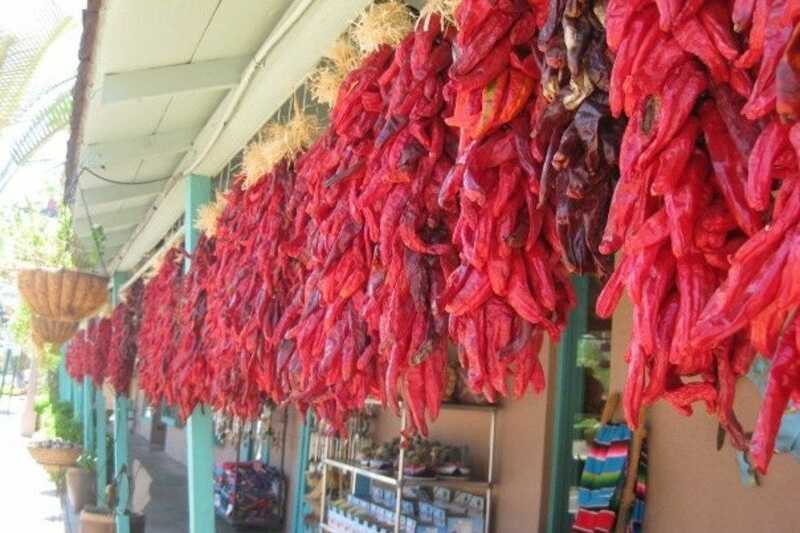 Old Town Scottsdale is the heart of the city, boasting sparkling fountains, green lawns, and outdoor sculptures celebrating the city's Old West heritage. Art galleries, museums, boutiques, and cafes line the streets of Old Town, offering both visitors and locals with some of the best window-shopping and people-watching in the city. Even if you are not coming here to shop, Old Town's eclectic array of specialty shops make for fun window shopping. While you're in Old Town, make a stop at the Scottsdale Historical Museum, where you can see how the city's founders and earliest settlers experienced life in Scottsdale. 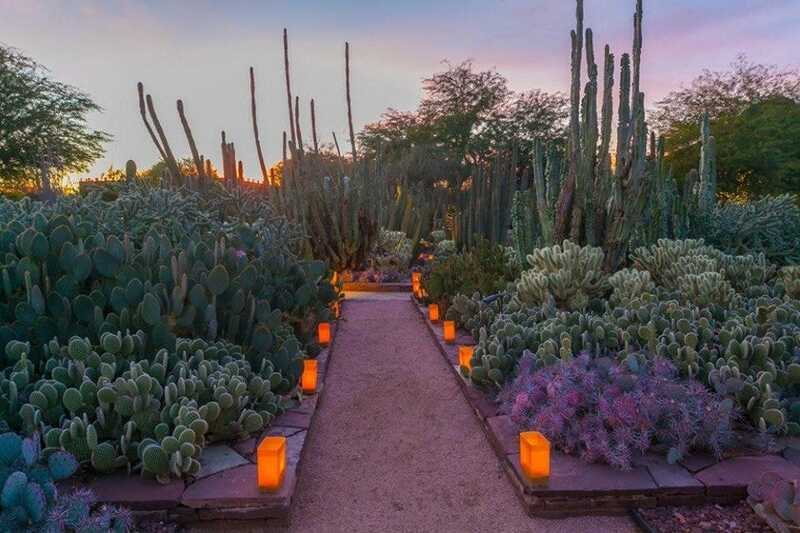 Located in Papago Park, this garden features one of the world's largest outdoor desert plant collection. 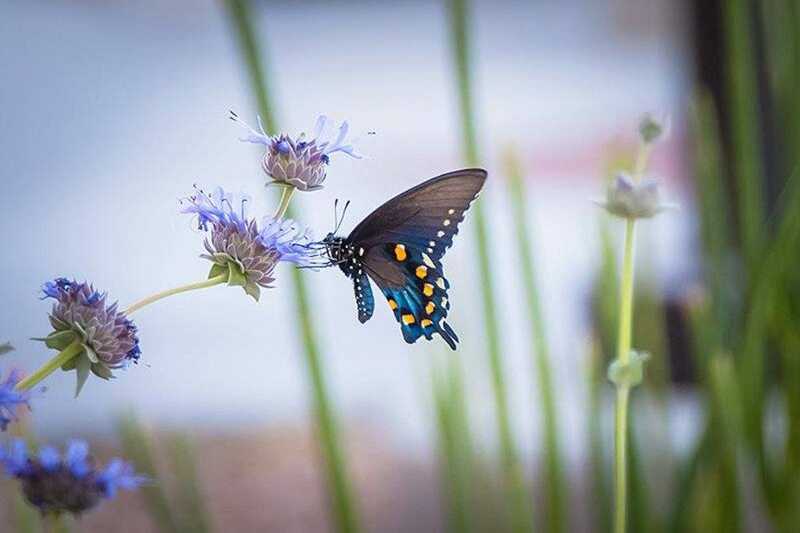 A vast array of colorful wildflowers has been strategically placed to create a colorful display and delight visitors in the springtime, and throughout the year. 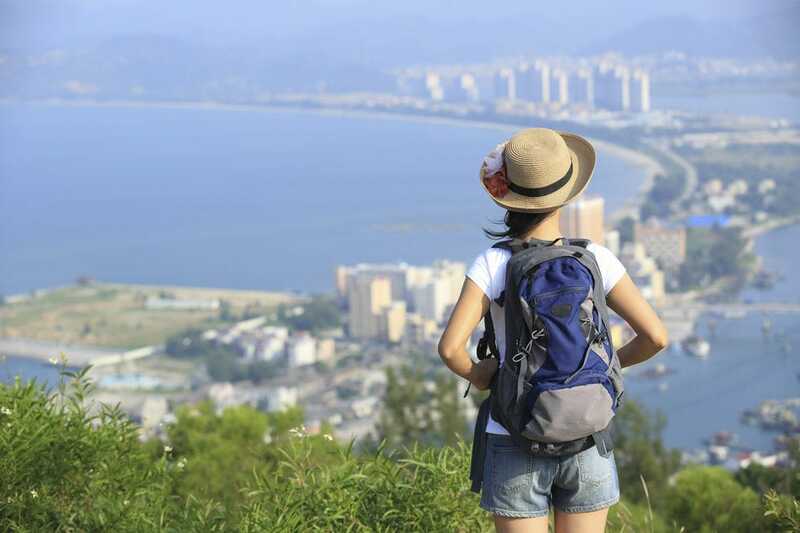 Not only is this park a treat for the eyes, but it also provides exercise for the body and mind. One of the main highlights, an informative ethnobotanical walking trail, meanders through the grounds. The trail explains the many vital ways in which plants were integrated into Native American tribal life, thus illustrating the importance of plants beyond their natural beauty.